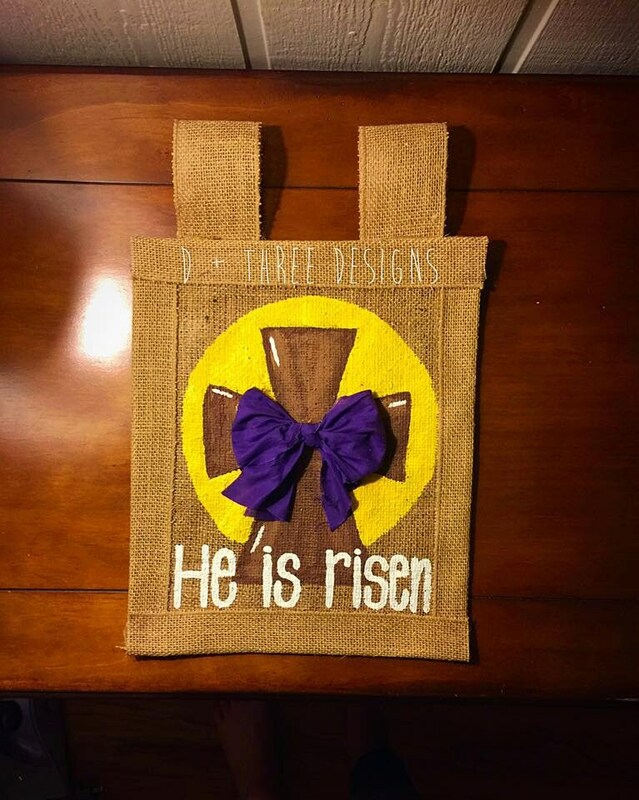 This is the perfect touch to any yard flag holder to celebrate Easter with a He Is Risen yard flag. This flag is sealed and stiffened to promote weather resistance. Each flag is hand made and painted. The measurements are approximately 12 x 12. Custom and personalized orders are welcome! Valentine's gift. You won't find this at a big box store. Wife liked it very much.